The Detroit legends will be opening up about their love of technology, their vast collection of instruments and its role in their lives, while the Dutch Laidback Luke will be looking at his career from the beginning and examining how technology changed him and his performances. 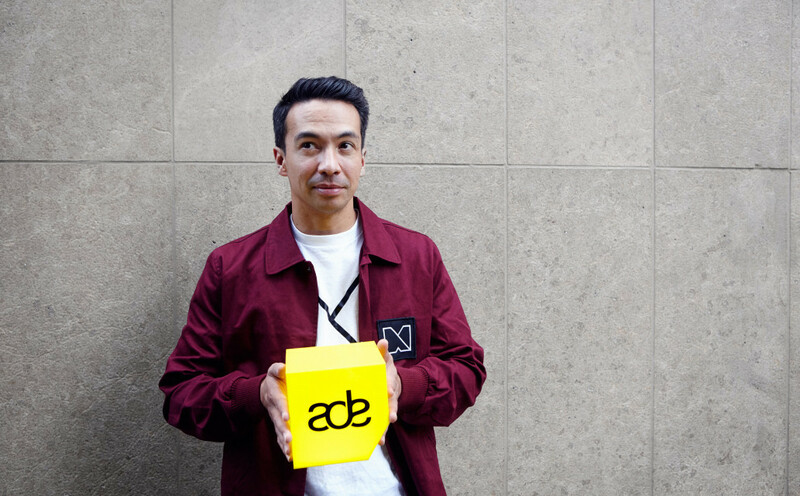 After our updates on ADE Pro's program about the power of image and creativity and the news regarding Amsterdam-based music platform Subbacultcha, we focus on news regarding this year's ADE Tech and their additions. ADE Tech, organized in partnership with Paylogic and in association with Paradiso, will once again be taking place on Thursday in the DeLaMar Theater. It features cutting-edge music technology alongside some of the tech scene's original thinkers and start-ups in Companies 2 Watch. Firstly, ADE Tech welcomes Polo Molina, a capitalist and investor who also manages the Black Eyed Peas, will.i.am, Afrojack, Tyga, Snow Tha Product, and many more through his company Grassroots Music. He will describe how he uses the lessons from his early life and his experiences in the music world to help the low-income areas of Los Angeles, while also revealing how he makes decisions about investing in start-ups. Secondly, Octave One will be demonstrating the mix of high and low tech that drives their live sets, as well as offering insights into how they interact with each other and their array of instruments, Octave One - Unwrapped. The duo has been active as speakers before, as they were panel members of MusicTalks at ADE Sound Lab 2016. This year's ADE they will perform at Dave Clark Presents on Friday, October 19th. Following a first round of Companies 2 Watch in the Paradiso on August 22nd, five companies were chosen to go forward to the final round in the DeLaMar during ADE Tech. This time their job is to inform the audience and our panel of experts why their idea will have a genuine and lasting impact on the music industry or on musicians and why it is relevant to the industry of today. With that, board member Matt Adell will be presenting his pick of the companies and start-ups that he believes will provide the most useful and game-changing services for artists. Muzooka, who won the previous iteration of the start-up competition 10C2W last year, will be featured in Your Live Performance Royalties Are Waiting For You alongside several collecting societies. On Thursday, Laidback Luke will be revisiting his early days as a vinyl-only DJ and then creating a timeline based around the technology that he used as it became available, recounting how it changed his performances as well as what it enabled him to do compared to previous tech and how that affected the crowd. This all in the session Laidback Luke Goes Back to the Future. Finally, there will also be a treat for audiophiles in the form of a demonstration of the power and depth of the new Dolby 3D Atmos Sound System, which is based on the units deployed in cinemas and theatres around the world. The Association For Electronic Music (AFEM) will be presenting How To Change the Game in Electronic Music, moderated by DJ John Aquaviva and featuring tech companies. The panel will offer a view of the technology that could help transform businesses now and in the future. ADE Tech, featuring emerging technologies and showcasing some of the brightest minds of our generation, takes place Thursday, October 18th in the DeLaMar Theater. Tickets for ADE Tech are available here. ADE Tech is also accessible for ADE Pass and ADE Conference Pass holders, available here.